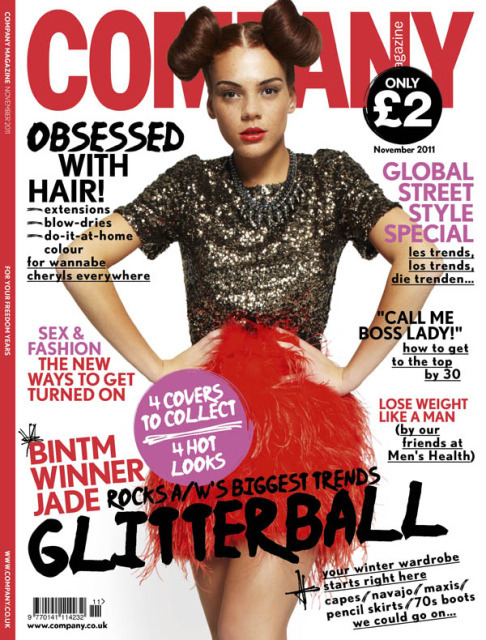 Company magazine have released four different covers on this months issue, because they simply couldn't decide which picture of BINTM winner Jade they should use! Personally, the third one is my favourite, but I think she looks amazing in them all. I feel quite proud of Jade, not that I know her or anything, but I loved her on the show so much! Which copy will you be picking up? i think the third picture is the best too!